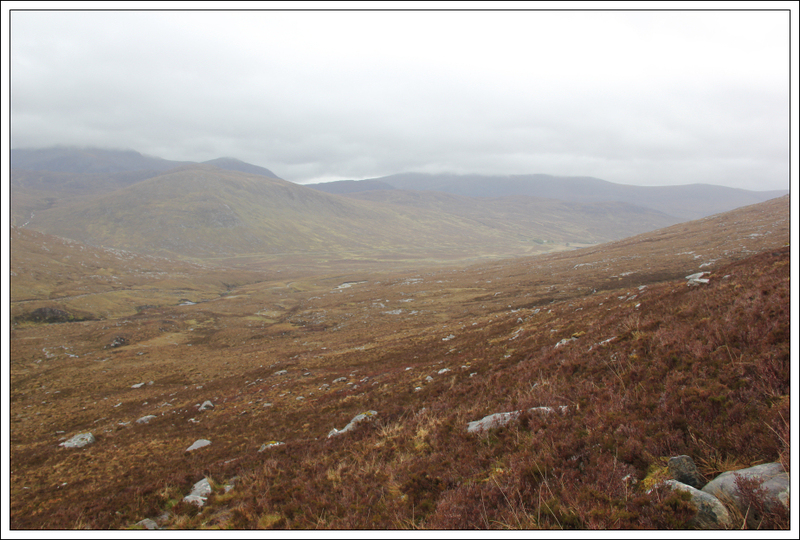 I attended the Moray Mountaineering Club's monthly Bus Meet yesterday, destination Dundonnell. 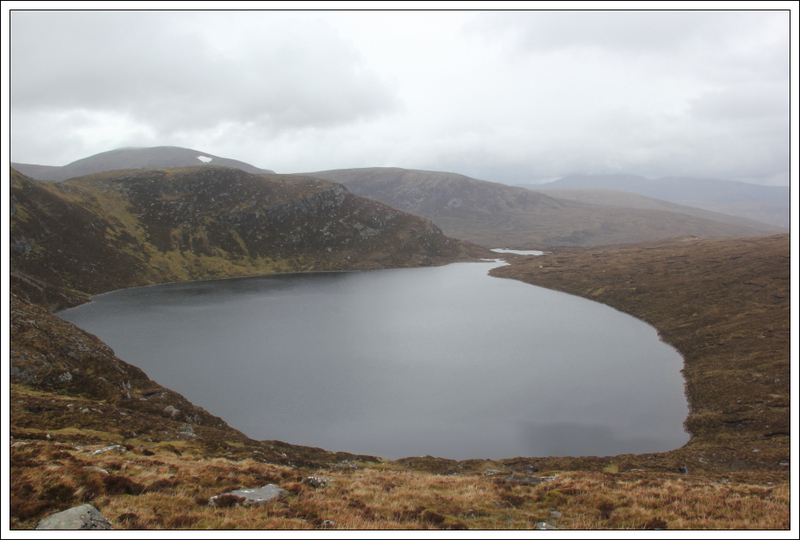 I disembarked from the bus at the West-end of Loch Droma. 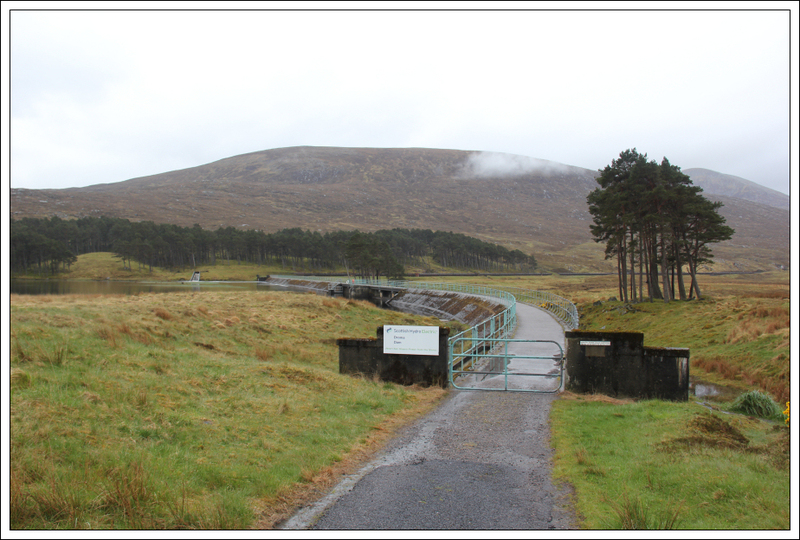 From the small car park at the West-end of Loch Droma, I crossed over the small dam to reach the hydro track beyond. 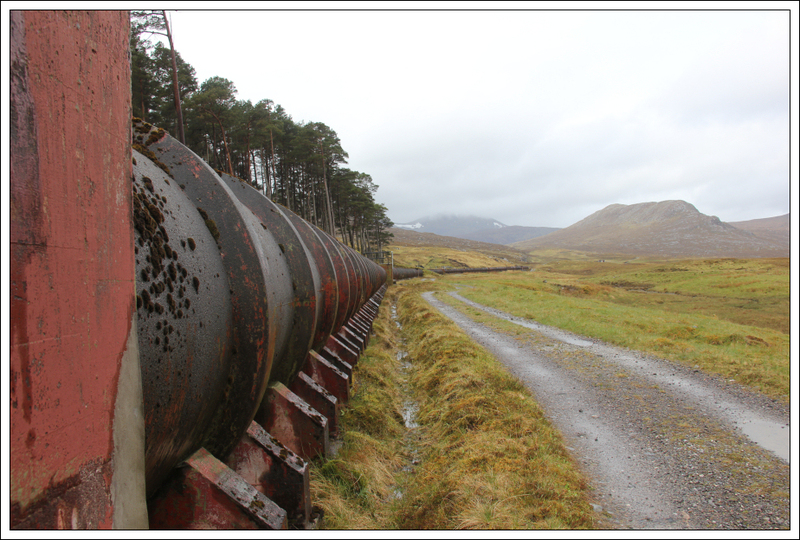 I then followed the pipeline skirting round the base of Beinn Liath Bheag. 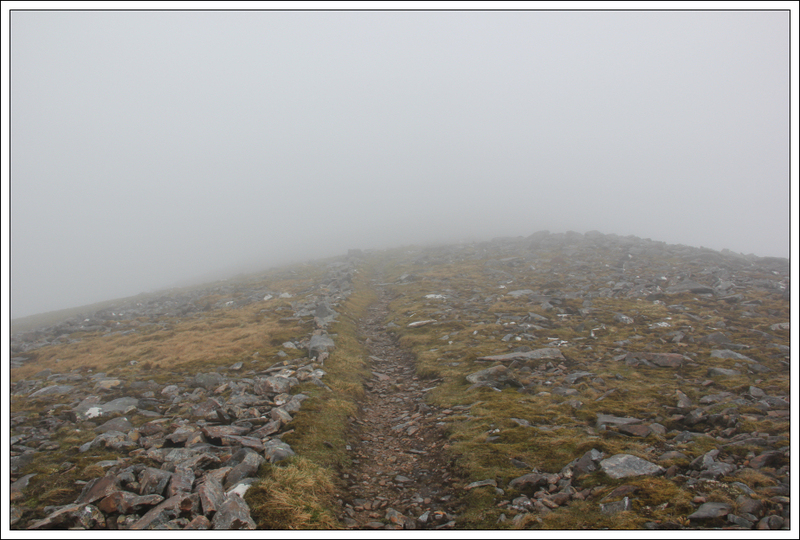 The good track allowed me to progress quite quickly. I reckon I had walked 2-3km by the time members were dropped off at Dundonnell. 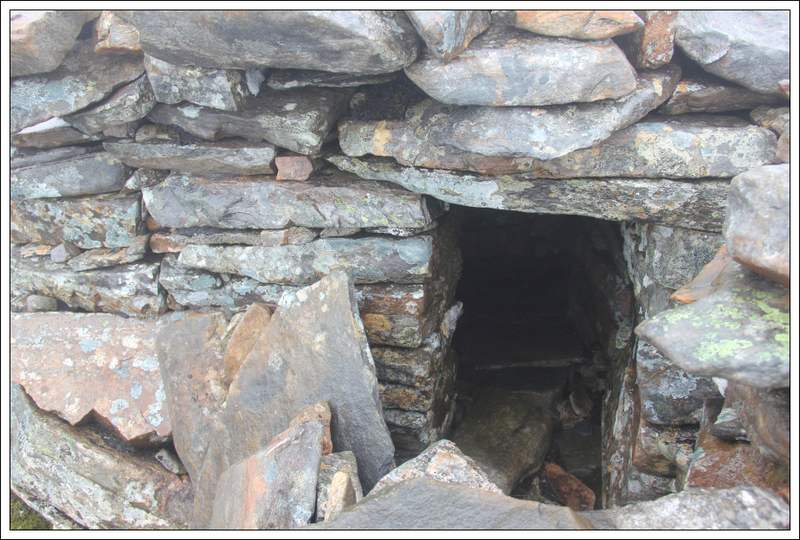 On reaching some kind of hydro works, I took to the hillside. 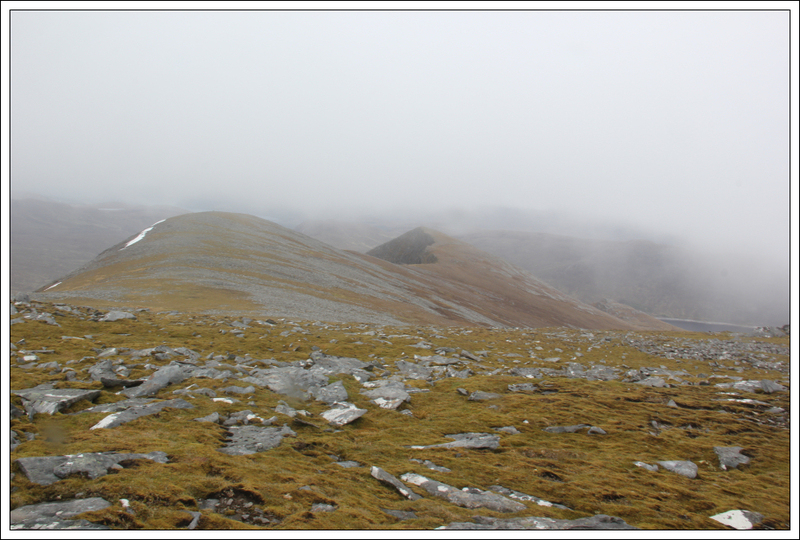 I followed a small, wet path leading up the NE ridge of Beinn Liath Mhor Fannaich. 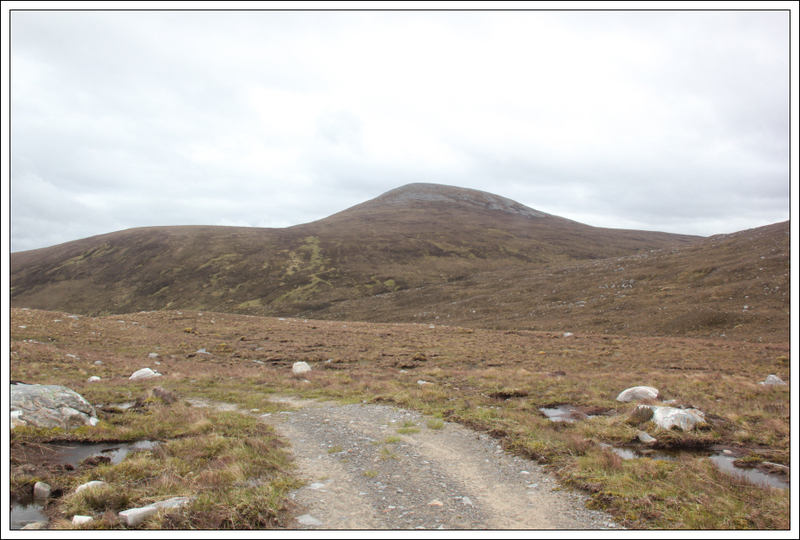 The ascent of the lower slopes was fairly straight-forward up through grass and heather. 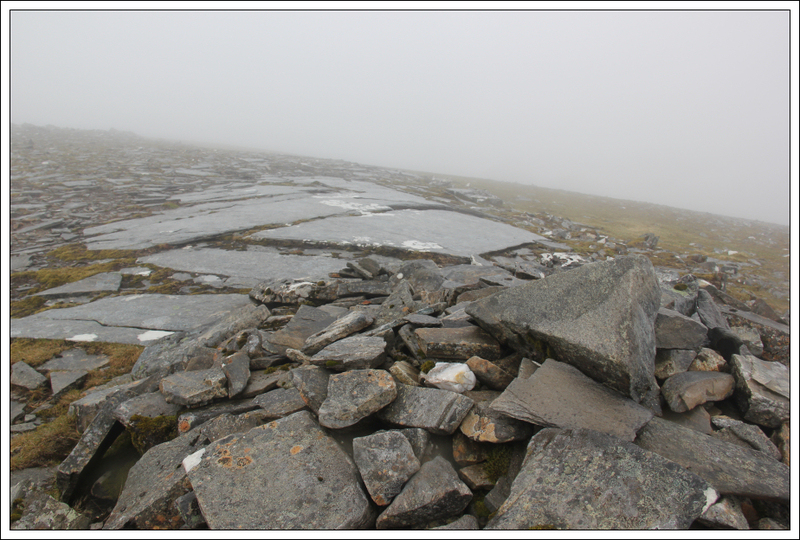 The boulder strewn upper slopes definitely slowed me down. 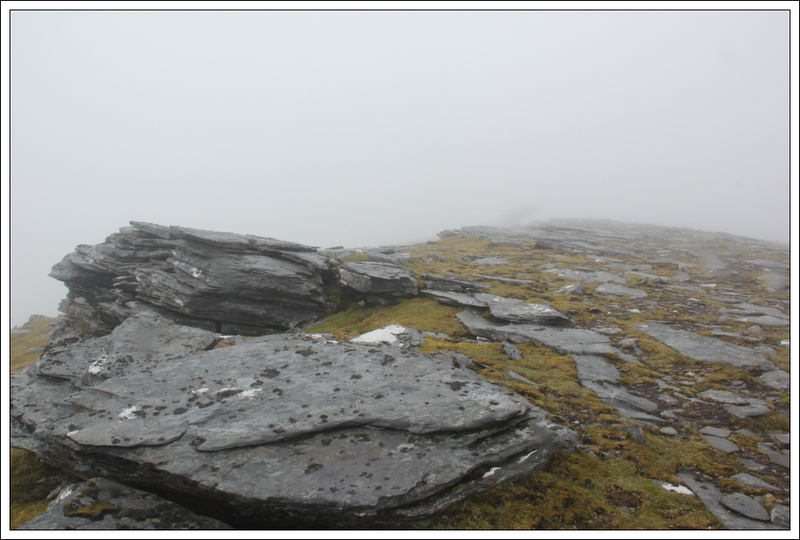 The weather was fairly poor throughout the walk. 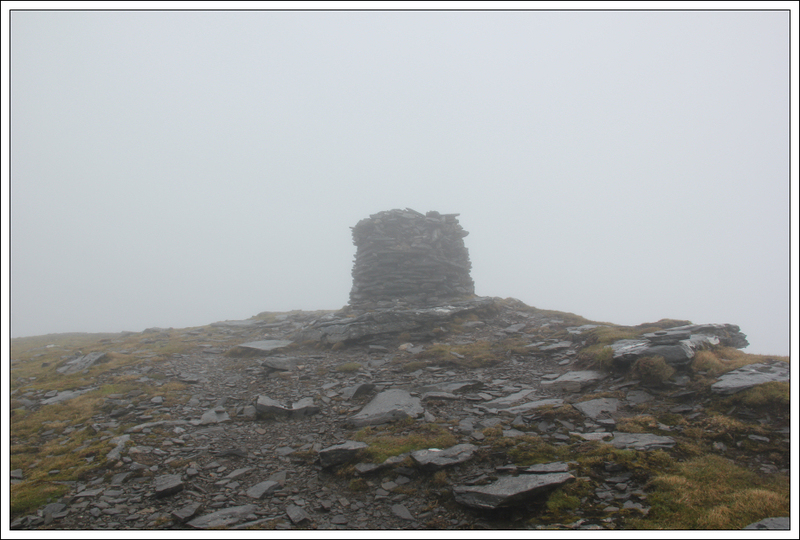 As well as rain showers there was persistent low cloud. 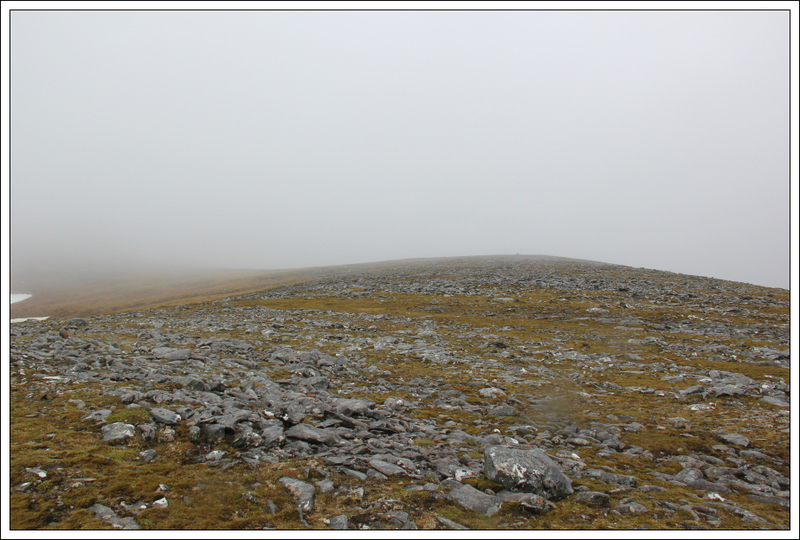 I walked in continuous low cloud for between three and four hours. 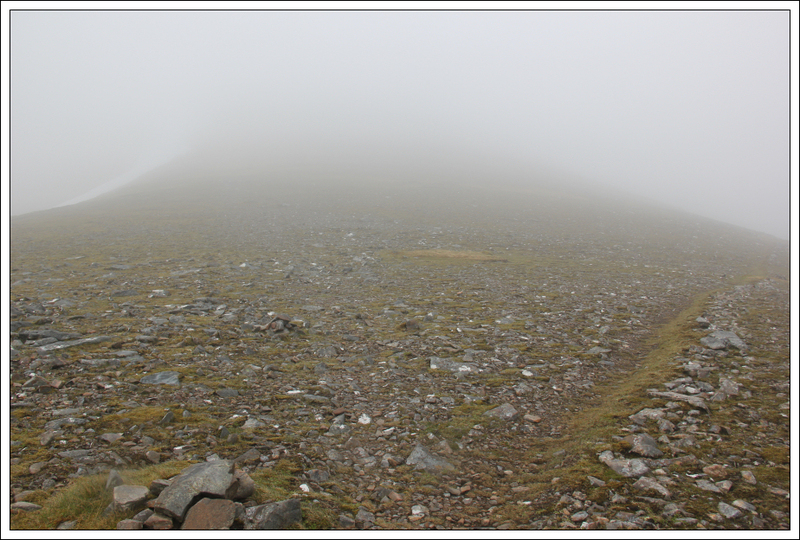 On reaching the summit of Beinn Liath Mhor Fannaich, I got out my compass and paper map and put away the technology. 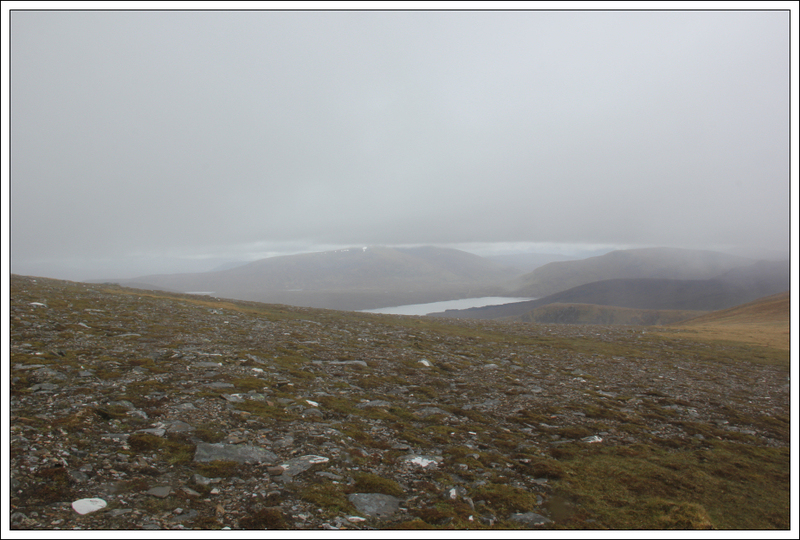 After taking a bearing, I set off down very stony slopes to reach the col between Beinn Liath Mhor Fannaich and Sgurr Mor. 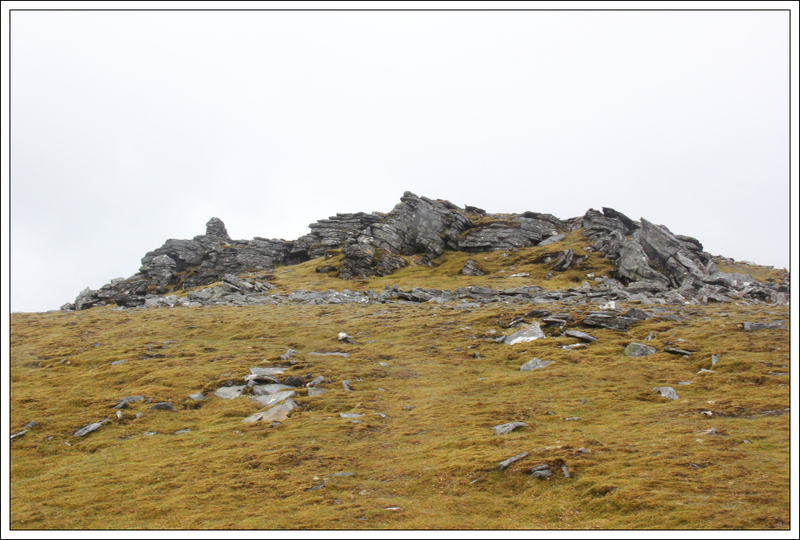 En-route to Sgurr Mor I passed a small howff that is right next to the track. 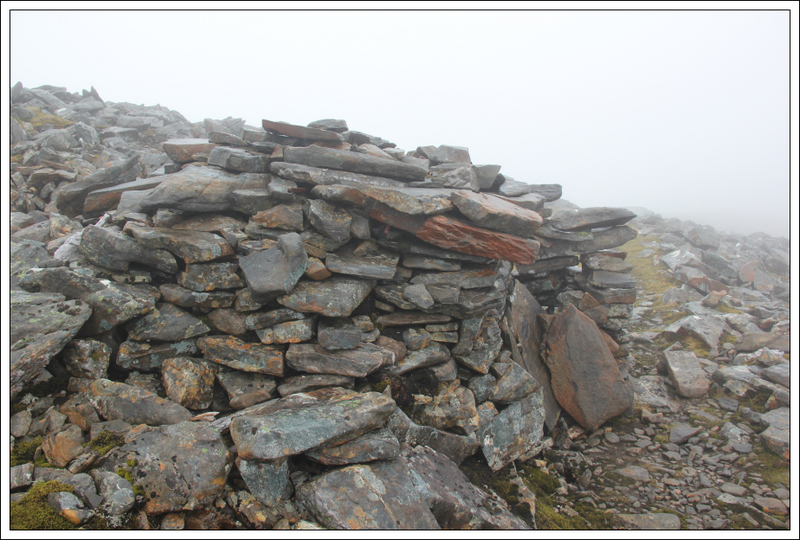 I couldn't recall seeing this on my last visit to these hills ten years previous. I assume it was there but I just can't recall it. 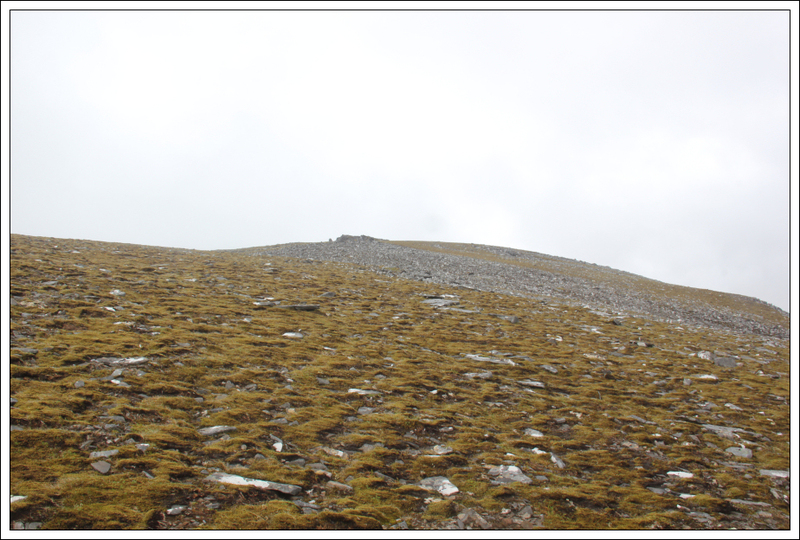 The final ascent of Sgurr Mor was up steep grass. 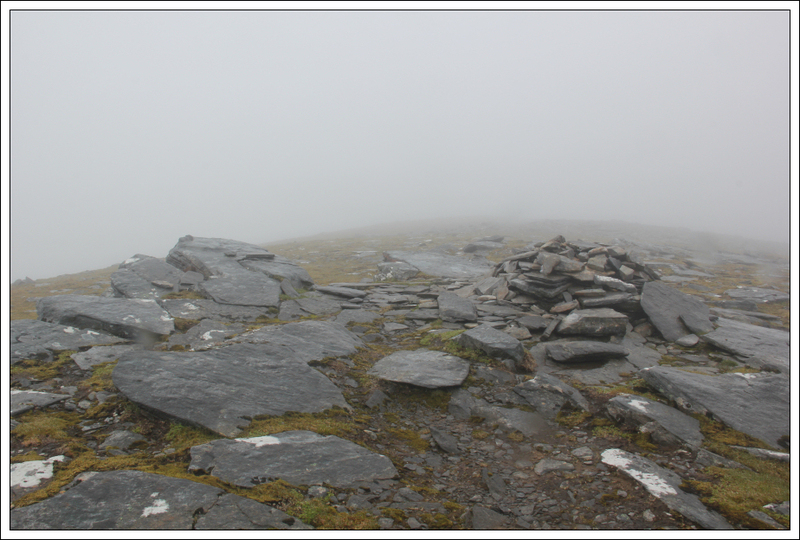 It was disappointing to get zero visibility at the summit. 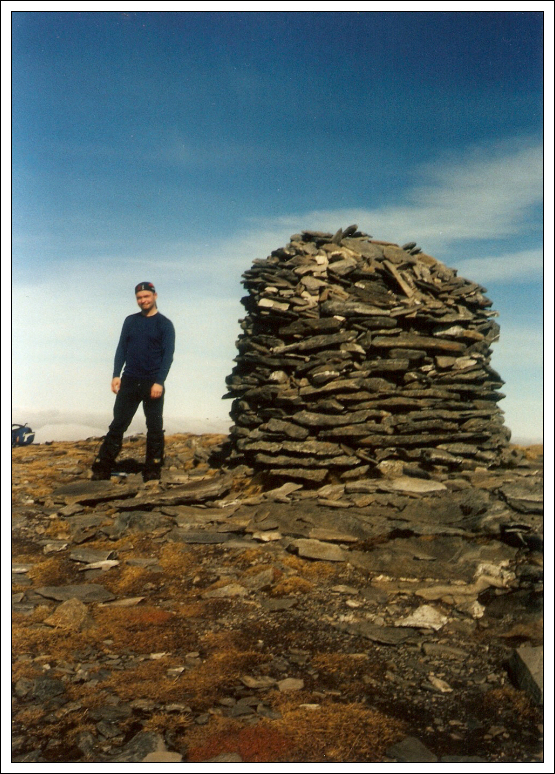 I could only just make out that the cairn was above a steep cliff. 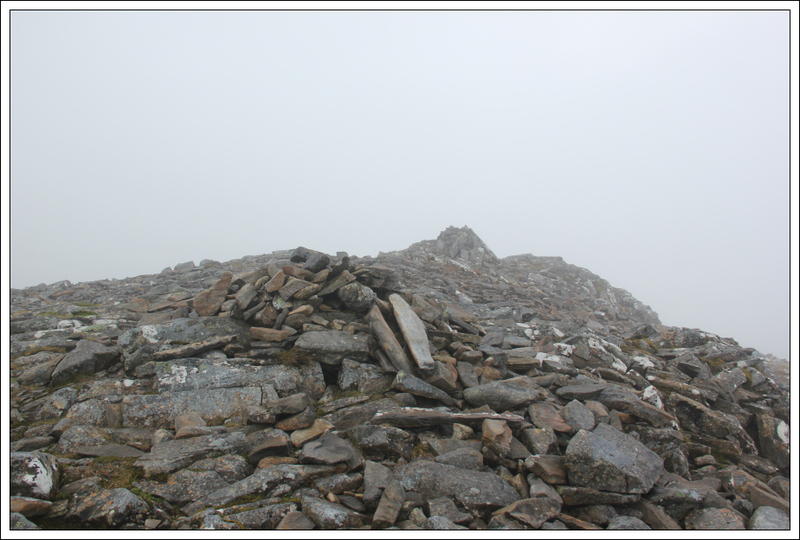 My last visit to Sgurr Mor was in much nicer conditions. 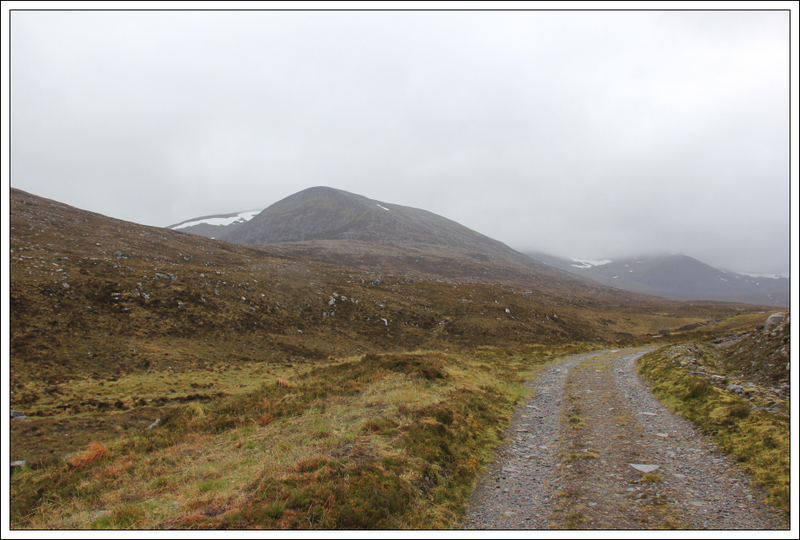 Having combined Beinn Liath Mhor Fannaich and Sgurr Mor with Sgurr nan Clach Geala, Sgurr nan Each and Meall a'Chrasgaidh previously, I opted for iii) head East towards Meall Gorm and An Coileachan. 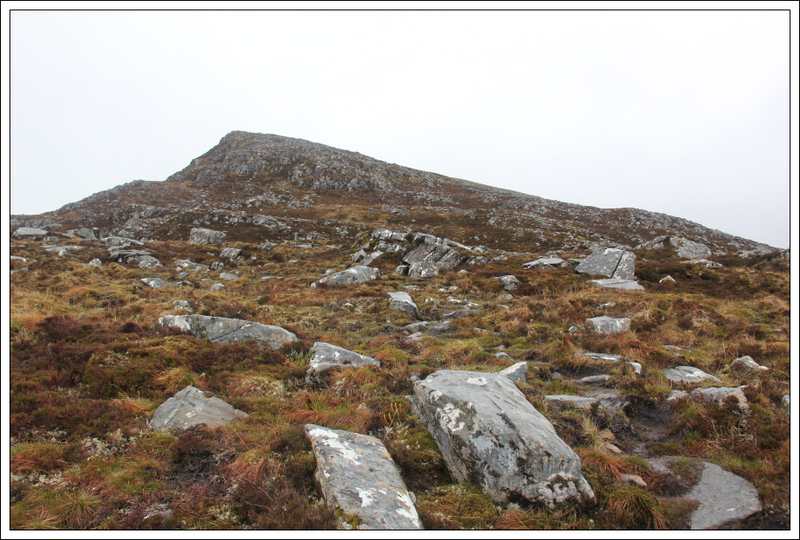 After taking a compass bearing I started my descent towards Meall nam Peithirean (a Munro Top). 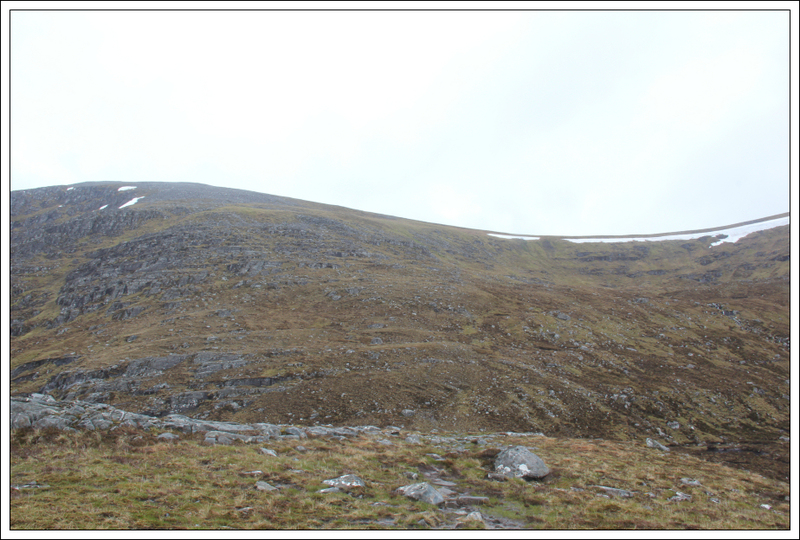 During the descent I passed lots of solifluction - soil flowage down slopes owing to recurring freeze/thaw and gravity. 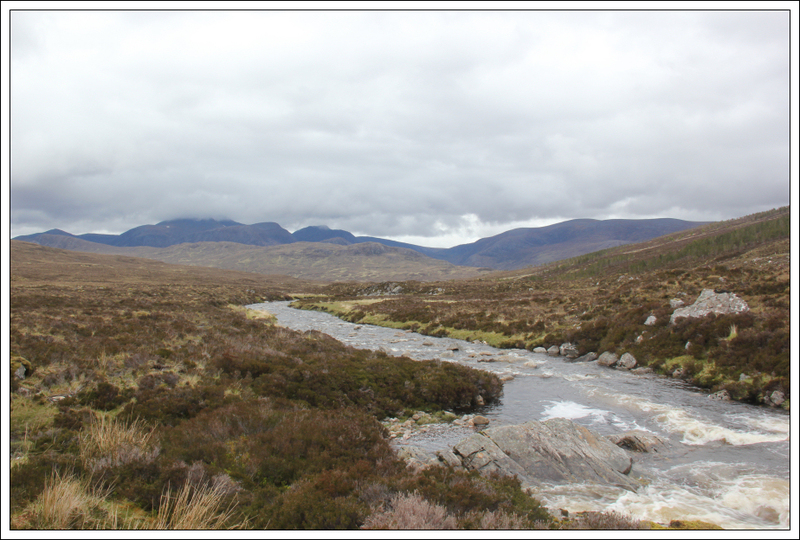 On the other side of the A835, Am Faochagach also has obvious solifluction. 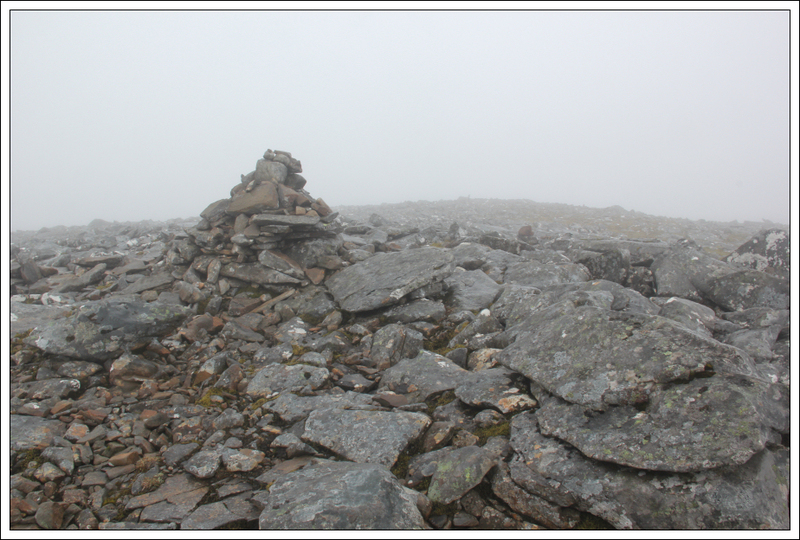 It was nice to reach the top of Meall nam Peithirean, a Munro Top I had not ascended previously. 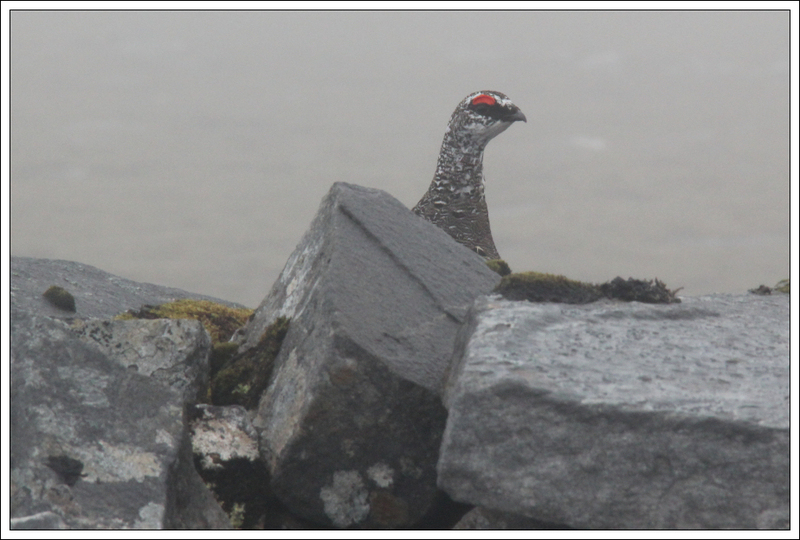 During the ascent of Meall Gorm I passed several ptarmigan. 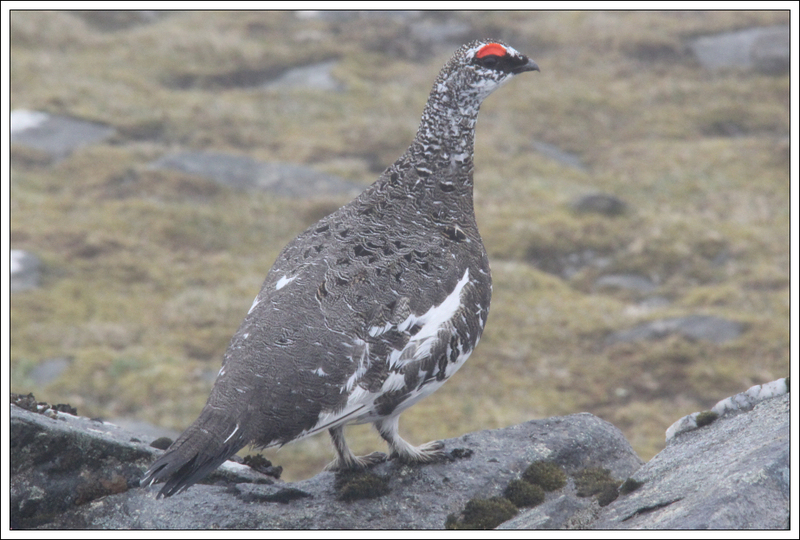 On reaching a small wall between Meall Gorm and Meall Gorm SE Top, I managed to get within circa three feet of a ptarmigan. 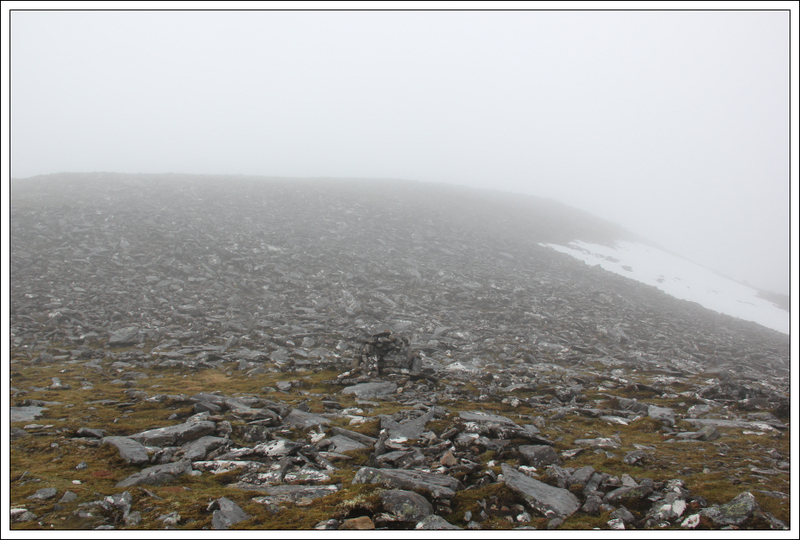 During the final ascent of An Coileachan the low cloud started to show some signs of lifting. 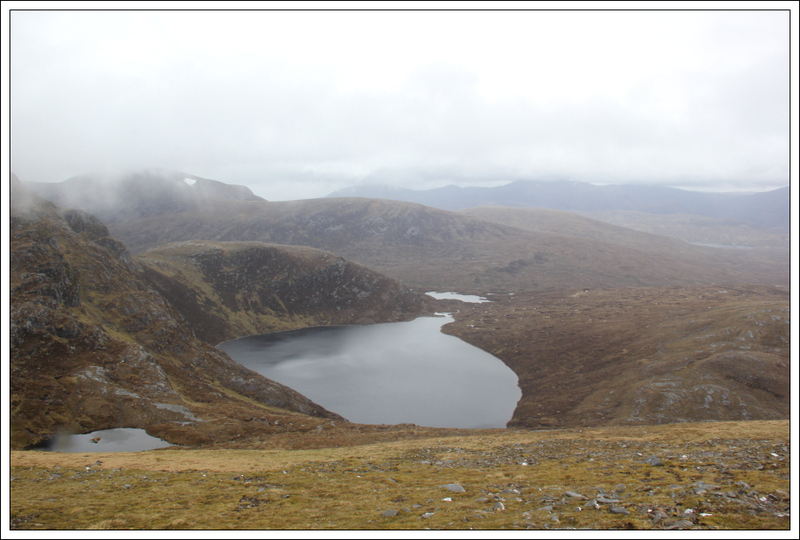 I managed to get some glimpses down to Loch Fannich. 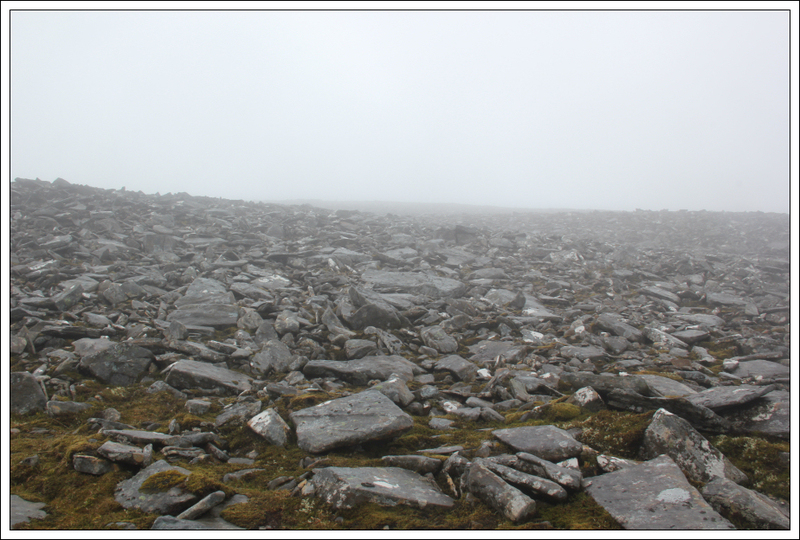 I reached the summit of An Coileachan 5.75 hours after setting off. 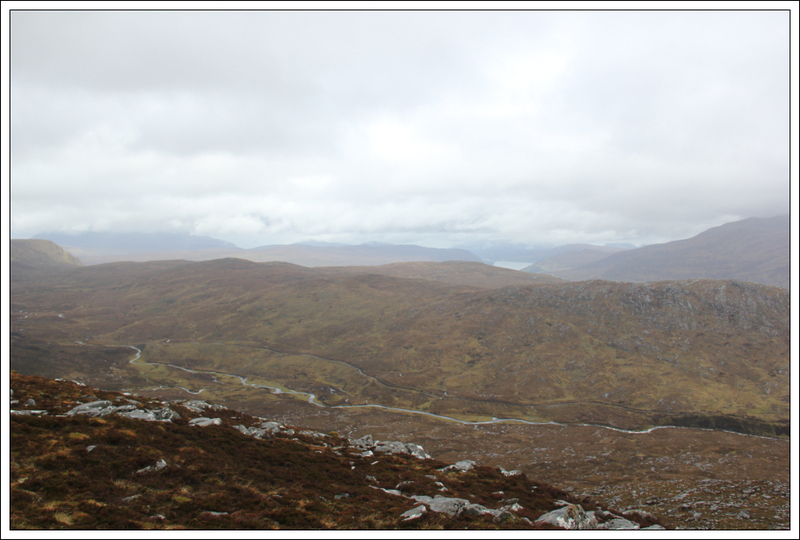 Now I had to work out a route for getting back to the A835. 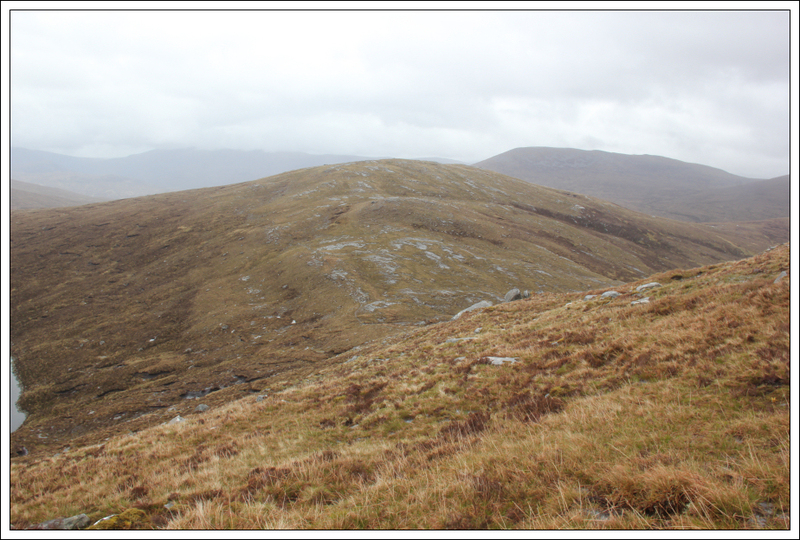 I decided to descend towards Loch Gorm and then head for Meallan Bhuidhe. 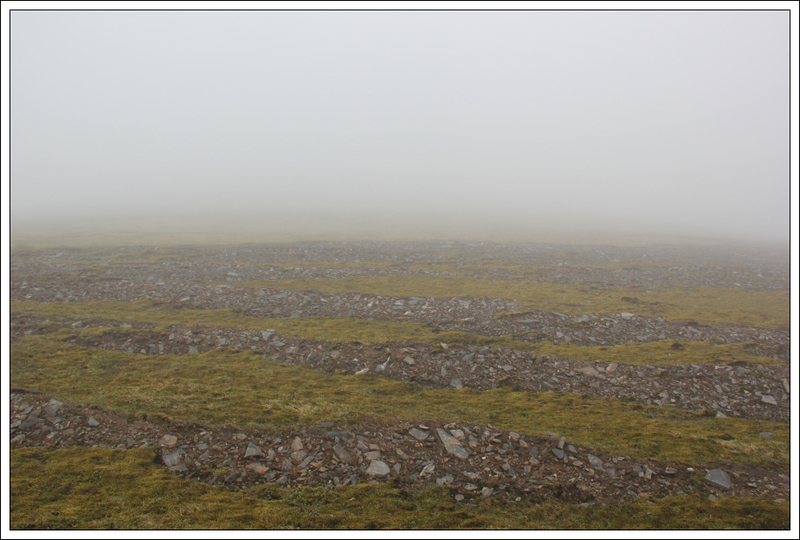 The only positive I could think of from walking in low cloud was the inability to see the awful new windfarm opposite the Aultguish Inn. 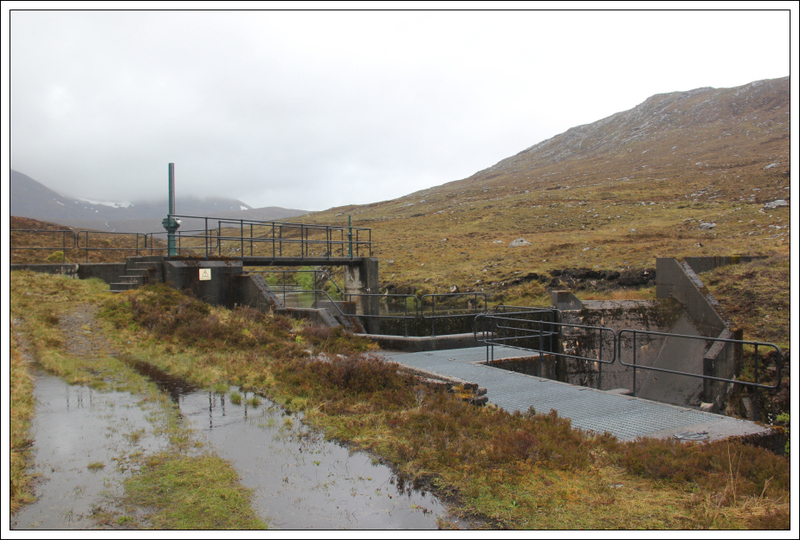 This must be one of the worst ever planning decisions ever in Scotland! 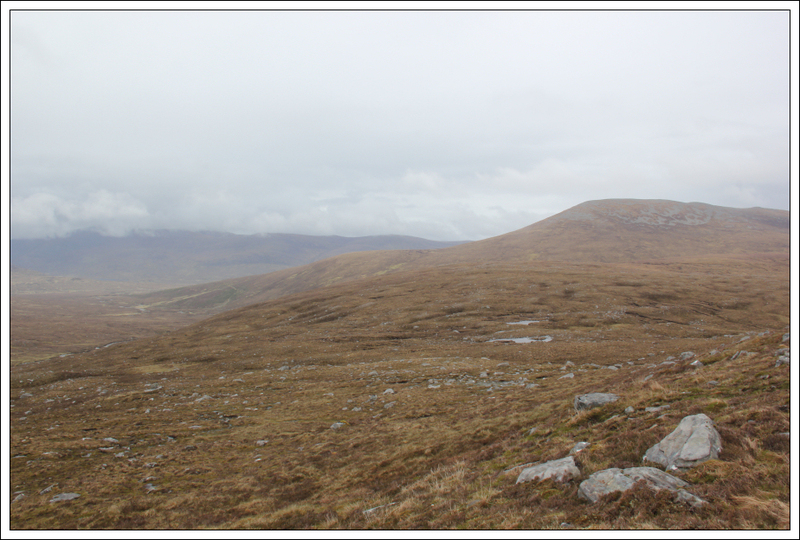 I picked up a small path during my final descent towards Loch Gorm which I followed over Meallan Bhuidhe. 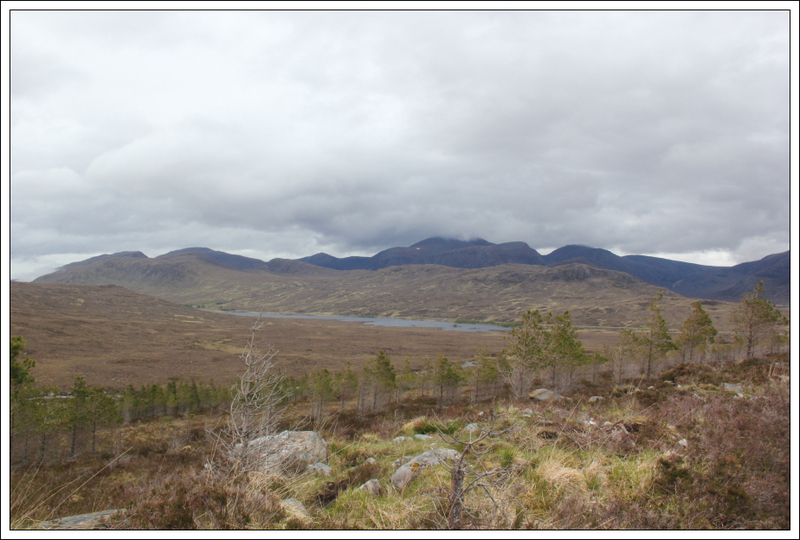 However, it wasn't long before the track deteriorated and then disappeared into the bog. 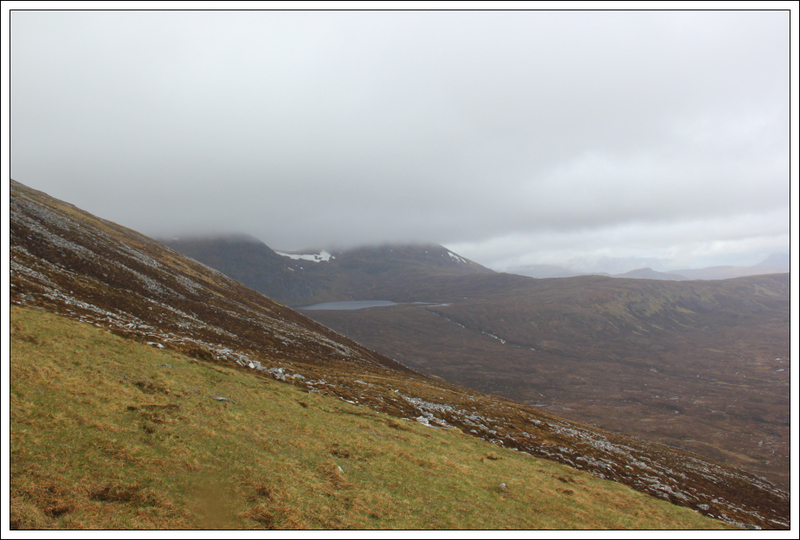 The walk out was unpleasantly wet underfoot. 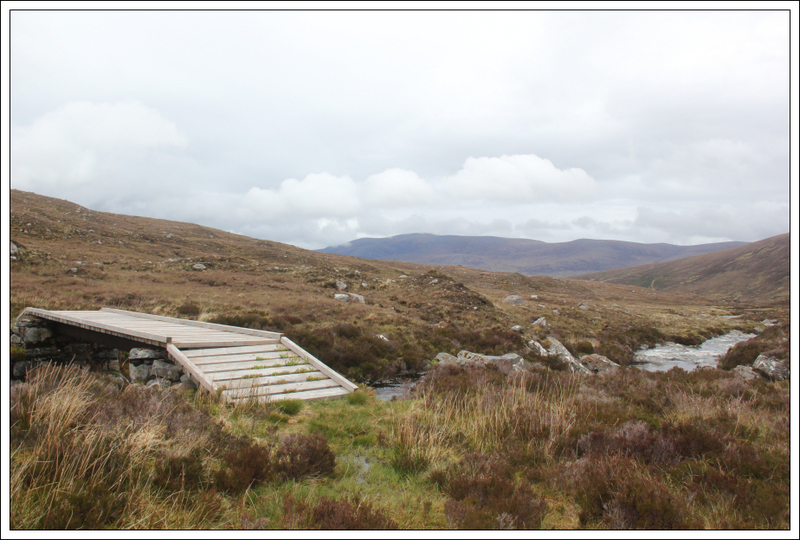 As I was walking along through bog, I spotted a bridge over the Abhainn a'Ghiubhais Li with what looked like a good track a short distance above. I therefore made my way down to the bridge. 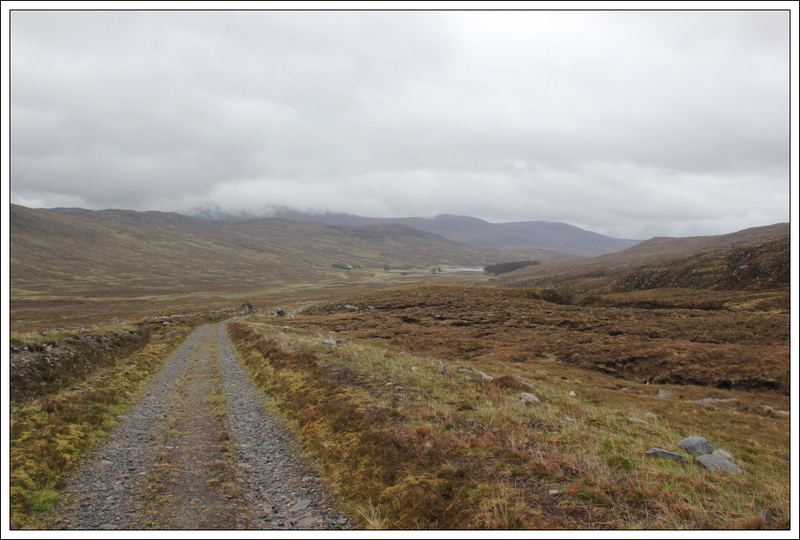 It was definitely worthwhile picking up the good track which I followed all the way out to the A835. 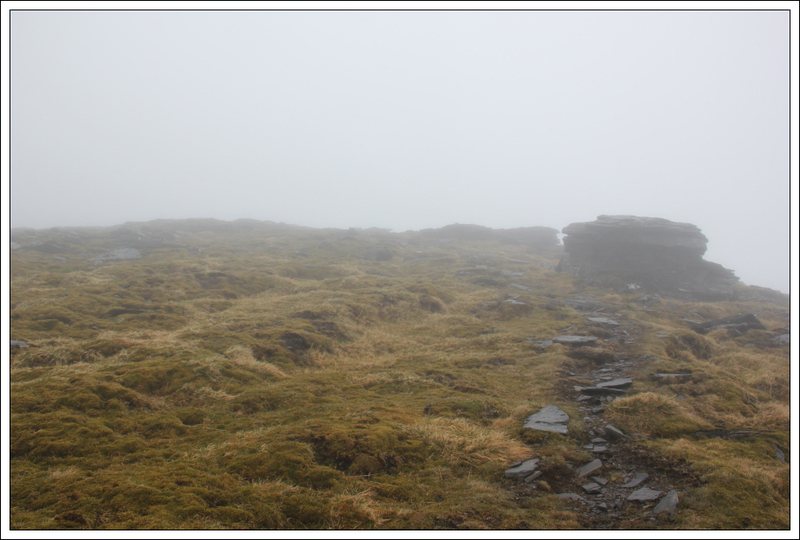 I enjoyed this walk despite the low cloud.